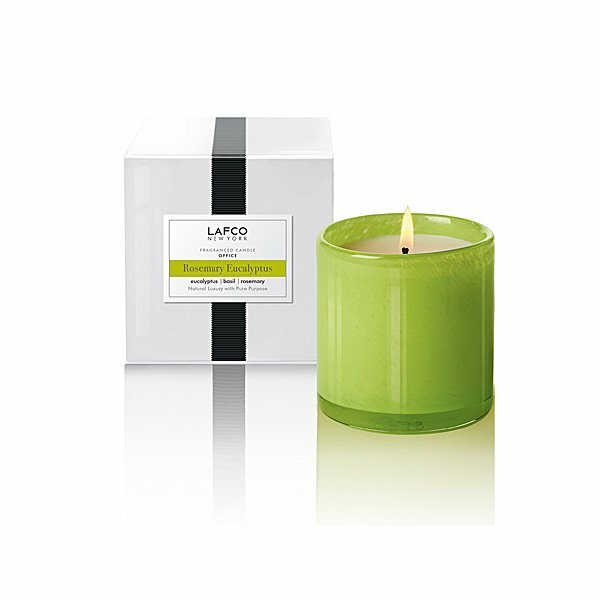 LAFCO Office (Rosemary Eucalyptus) Classic Candle is a mix of invigorating rosemary and eucalyptus, complimented by wild min to encourage sharp thinking and wakefulness. After hours in front of the computer monitor or checkbook, this fragrance will keep you inspired and clearheaded. The LAFCO House and Home Candle Collection is specifically designed to create an elegant atmosphere and compliment the ambiance and decor of each room in your home. Poured into a colored, hand-blown vessel.